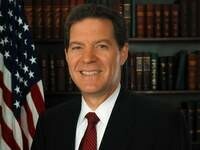 Kansas Gov.-elect Sam Brownback says he’s propose a tax plan next year that’s aimed at luring people to rural communities from other states. Brownback said Tuesday during an interview with The Associated Press that he’ll present a plan that’s targeted at bringing residents to counties that have lost population over the past 20 years. He said a key part of that plan would allow people who move from other states to those counties to avoid paying state income taxes for 10 years. He said counties will have the option of participating. The Republican takes office Jan. 10. He also said he’s working on a plan to have state and counties buy down student loans of college graduates who move to such communities.